In a surprise update to Lightroom for iOS this morning, Adobe added support for RAW files, local adjustments and keyboard shortcuts. Let's take a look at how all of this works. 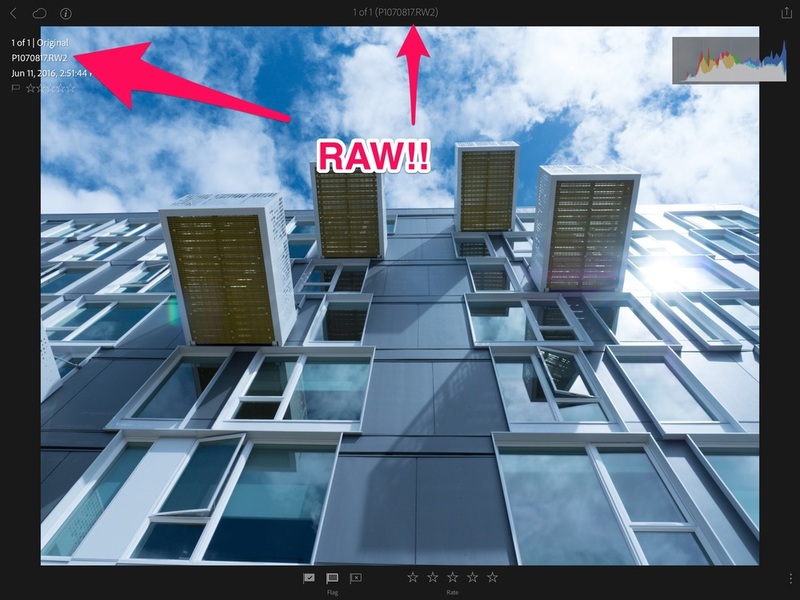 With today's update when importing files from your iPad Pro's camera roll you'll see RAW over thumbnails of image files supported by Adobe's Camera RAW. If your camera is supported with the desktop version of Lightroom most likely it will be supported with the iOS version as well. As you can see in the image below my Lumix GX8 files imported without a hitch. Want to edit your RAW files on the go? No problem. Although I captured my images as monochrome JPEG+RAW I didn't see an option to import both but if that's the trade off I'll take it! What's more is that RAW support works on my iPhone 6 Plus too making it into a true mini workstation on the go. In what appears to be more evidence of Adobe's support for Apple's iPad Pro, Lightroom also supports both keyboard shortcuts and local adjustments as well. To top it off everything syncs back to your desktop Lighroom library making for killer workflow solutions. Now with a data connected iPad or iPhone one could capture in the field and sync back to the office where a tech could further adjust and distribute the images quickly. One caveat though, you must be a Creative Cloud subscriber to enjoy the benefits.